Subtle horizontal stripes take this long-sleeved shirt from boardroom to downtime with ease. Take a second lookwith this long-sleeved shirt, there's a little more going on than meets the eye at first glance. Fine horizontal stripes run across the tightly woven cotton poplin, giving it the appearance of a solid from across the room. Around the office, we like to call this a fancy solid. You'll call it a solid choice for the office or the weekend. 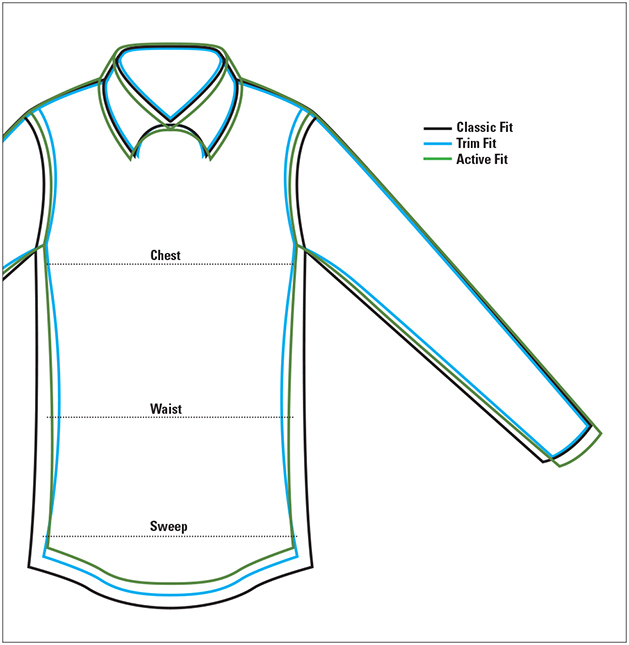 Button-down collar, two-button adjustable cuff, contrast piping and inside neck and back center pleat with locker loop. Pure cotton. Washable. Imported.